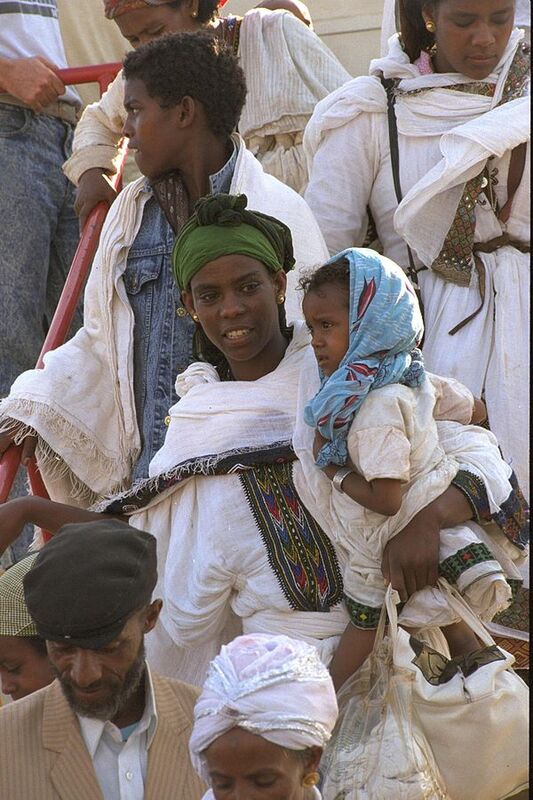 Ethiopian immigrants arriving in Israel, 1991. Photo by Israel government press office. This week’s riots by thousands of Ethiopian Jews in Jerusalem and Tel Aviv mark the latest episode in a drama that stretches back well over 3,000 years, and 24 years after Operation Solomon, one of the most extraordinarily successful rescue missions in modern history. The Ethiopians were protesting what they see as systemic racism by Israeli society against their community of about 130,000 people. The spark for the violent protests was a video posted on social media of two policemen beating a young Israeli-Ethiopian soldier, Demas Fikadey, who did not promptly respond to their order to move away from an area they were clearing. The funny thing about absolutes is that sometimes they’re not. A recent competition that invited Americans to submit cartoons of the prophet Mohammed is illustrative. Organized by a woman whose attacks on the Muslim community have generated much publicity across the United States, the competition had two purposes, one explicit, one implicit. The stated purpose was to demonstrate that in the United States speech is free, and that Americans can do or say whatever they want. The unstated purpose was to provoke a violent response against the contest and to help the contest organizer, a New Yorker by the name of Pam Geller, promote her racism and bigotry. Alberta, Canada’s right-wing province that’s sometimes called the “Texas of Canada,” elected a social democratic government. In an essay titled Alberta once again the New Jerusalem, Alberta historian, author and journalist Brian Brennan eloquently explains how and why. NOTEBOOK: a bellwether election for Alberta, includes fierce public-information defender’s Sean Holman on Alberta’s lack of transparency, and author and thinker Penney Kome on the background to Rachel Motley’s rise to power. Those who invested their own money in forecasting the outcome performed a lot better in predicting what would happen than did the pollsters. The betting markets had the Conservatives well ahead in the number of seats they would win right through the campaign and were unmoved in this belief throughout. Polls went up, polls went down, but the betting markets had made their mind up. …the coming five-year period is likely to be a tale of two unions. In his victory speech outside Downing street, David Cameron reaffirmed his promise to stage a referendum on Britain’s membership of the European Union. That will happen before the end of 2017, which means a two-year-long campaign to get Britain out of the EU is under way now. Those who marvelled at the power of last year’s plebiscite on Scottish independence to stir the deepest questions of identity and belonging should brace themselves. Just such a debate is coming to the entire UK, one that will rouse profound and unresolved questions. What is Britain’s place in the world? Where do we really belong? Are we one of many – or do we stand alone? An unexpectedly decisive election masks Britain’s profound political fragmentation. One of the most anodyne election campaigns in living memory has left Britain with a result that few expected — and one that could transform Britain both internally and externally. This was an election that recast the political geography of Britain. It may redraw the boundaries of the nation. And it raises questions about the future shape of the European Union. A few weeks ago I was having dinner with David Cameron. Well, almost – we were at the same restaurant but on tables at the opposite side of the room. He was taking a break from campaigning. I remember thinking he must be one of the luckiest Prime Ministers the UK has ever had. Two strokes of luck in particular stand out: the economy and Scotland. They stand out because between them they enabled him to win an election that he really should have lost. 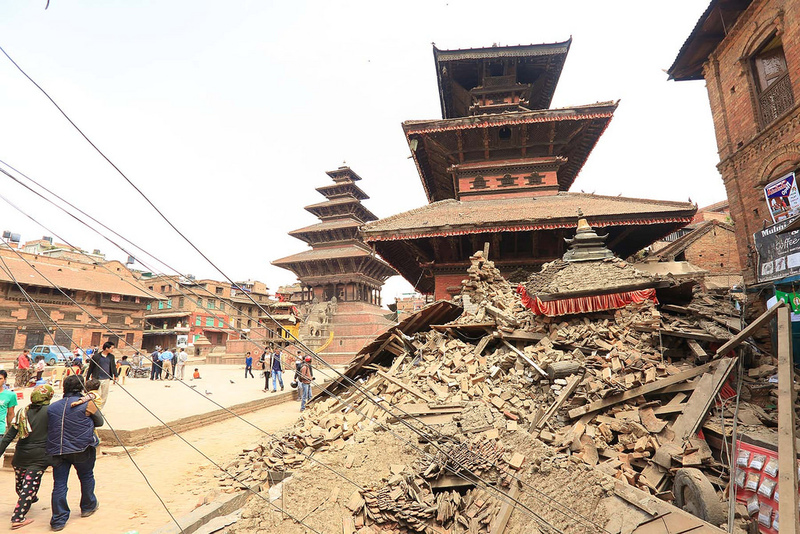 Watch for our feature package next week, on continuing coverage of Nepal, and check our Contents page regularly for new works. You’ll find our evidence-based reporting in Reports; commentary, analysis, arts and creative non-fiction in OPINION-FEATURES, and image galleries in PHOTO-ESSAYS. Some of our original works are behind a paywall, available with a $1 site day pass, or with a subscription from $2.95/month – $19.95/year. Tell others about us. If you value our journalism, please help sustain us. Born in Canada, Khadr was taken as a child to Afghanistan by his father, to fight with al-Qaeda. In 2002, aged 15, he was captured by American soldiers in a firefight in which he was injured. He was accused of throwing a grenade that killed a U.S. soldier, Sgt. Christopher Speer. 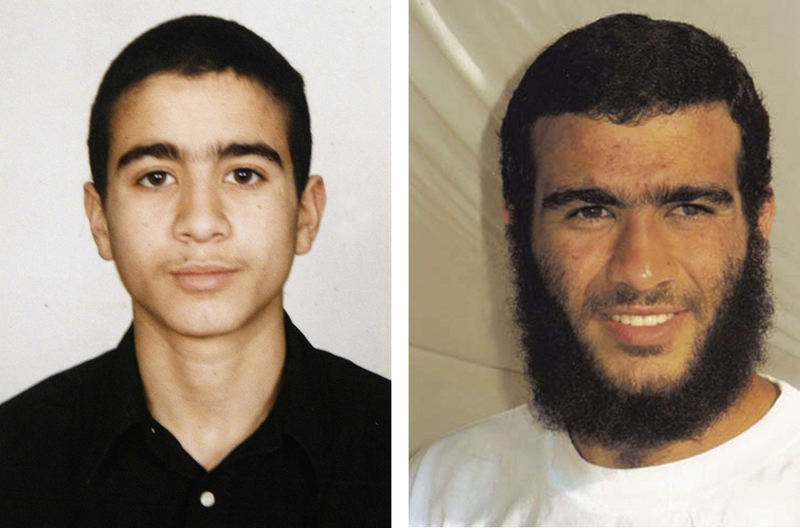 Khadr was shipped to Guantánamo Bay, and convicted in 2010 of war crimes for Speer’s death. Under a plea agreement, he was to serve eight more years. He was later transferred to a jail in Canada. He repudiated his legal plea, on the grounds he agreed only to get out of Guantánamo Bay. His case is now winding its way through Canadian courts. Meantime, the Alberta Court of Appeal released Khadr on bail, with strict conditions. In the video below he speaks with media outside his lawyer’s house in Alberta, where he must live as one condition of his bail. The Queen has very little to do on election day. It is constitutionally frowned upon for her to vote, and she does not do so. Her constitutional role is simply to appoint the prime minister when the votes have been counted. The UK is split into 650 parliamentary constituencies, each of which elects one representative to sit in the House of Commons, the lower chamber of the UK parliament. So there are essentially 650 mini-elections happening at once. Most of the candidates will be standing under the banner of one of the main political parties: Conservative, Labour, the Liberal Democrats, the Scottish National Party (SNP – only in Scotland), Plaid Cymru (only in Wales), the Green party, and the UK Independence Party (UKIP). Votes are counted constituency by constituency, and the candidate in each constituency with the most votes becomes the Member of Parliament. If a party wins an overall majority of MPs (in this case 326), their leader will become the prime minister. This system is known as “first-past-the-post” – and it’s not terribly popular. In British politics, it’s unusual for no party to get an overall majority of MPs. But this did happen in 2010, and it is likely to happen again this time around. Where no party wins an overall majority of seats, there are several options available. Parties can try to form a coalition government with one or more other parties, as Cameron’s Conservatives did with the Liberal Democrats in 2010. The discussions will inevitably revolve around the key policies put forward in each party’s election manifesto. Each side will have assorted “red lines” – limits to their cooperation which may come in the form of specific policies such as the Conservative Party’s wish for an EU referendum or the SNP’s wish to stop the renewal of the Trident nuclear deterrent, targets for both increased spending and cuts, or perhaps even possible other coalition partners. Since neither party looks set for a majority, a coalition government is almost guaranteed. If David Cameron remains prime minister, he is likely to have to continue to work with the Liberal Democrats – or perhaps even UKIP. If Ed Miliband wants to be prime minister, he is likely to have to work with the SNP, the Liberal Democrats, and/or some of the very small parties (the Greens, Plaid Cymru, or parties from Northern Ireland). In recent weeks this has all become even more complicated, as the two main party leaders have all refused to say who they would work with and act as if they’re likely to get a majority. Ed Miliband has ruled out a coalition with the SNP, while the Liberal Democrats have said they will not take part in a government that includes the SNP or UKIP. The House of Commons represents the whole of the UK – England, Northern Ireland, Scotland and Wales. Scottish voters will elect MPs on the same basis as the rest of the UK, but they will have the chance to vote for different parties. The Scottish National Party (SNP) is the largest of these. What is particularly interesting about Scotland in this election is that the SNP is expected to do much better than it ever has before. Thanks to a surge in membership and support since the 2014 independence referendum, it is forecast to win across many constituencies that have traditionally been won by Labour – potentially stopping Miliband from winning a clear majority of MPs. Louise Thompson is Lecturer in British Politics at University of Surrey. This article was originally published on The Conversation. Read the original article. Subscribe by email to our free FRONTLINES, a blog announcing new works, and the odd small tale. Look for evidence-based reporting in Reports; commentary, analysis and creative non-fiction in OPINION-FEATURES; and image galleries in PHOTO-ESSAYS. Some of our original works are behind a paywall, available with a $1 site day pass, or with a subscription from $2.95/month – $19.95/year. If you value journalism, please help sustain us. Alberta election: is change in the wind? 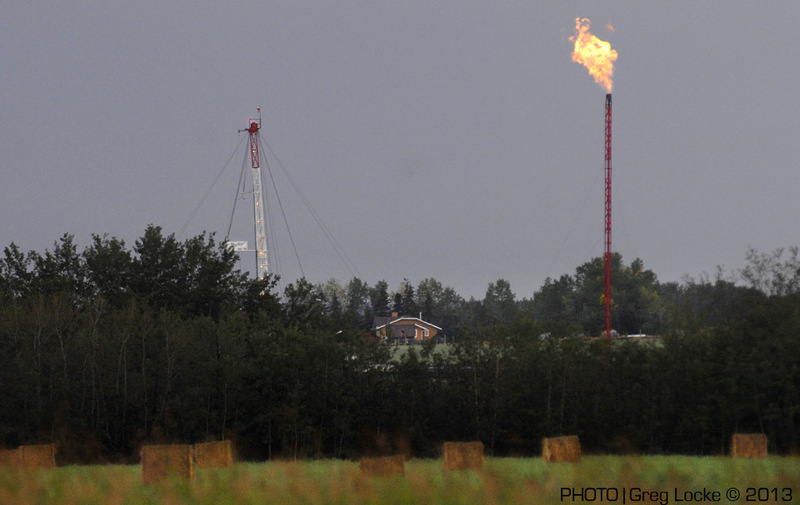 Could Alberta be the bellwether for shifting politics in North America’s oil patch communities? Alberta-based journalists Penney Kome and Sean Holman consider aspects of the issues. 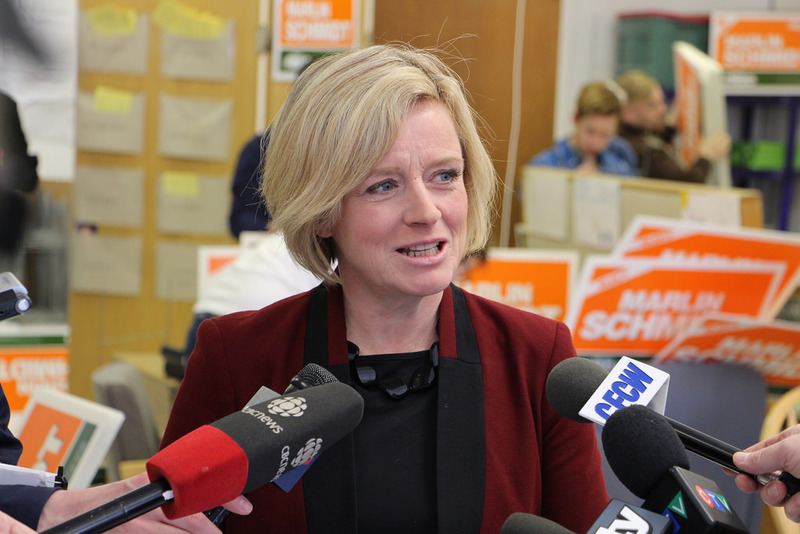 “Alberta, the province that elected North America’s first Muslim mayor, is flirting with another surprise: a feminist New Democrat government — or at least Opposition,” writes Kome. 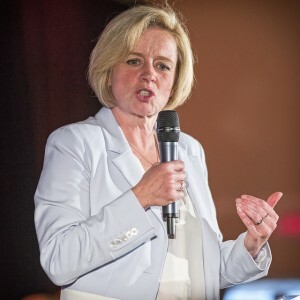 Click here to read NOTEBOOK: a bellwether election for Alberta? Does a Canadian provincial government have any responsibility to protect your natural security? Nope. Nada. Rien. It can pretty much do as it likes, wrecking your water and any other part of the environment that it likes in the process. And you can just go pound sand. That, in non-legal language, was pretty much what an Alberta Court ruled in the case of Jessica Ernst, a former oilfield biologist who lost the use of the water wells on her small ranch east of Calgary after a gas company hydro-fracked several drill-holes nearby. Ernst had appealed for help to the Alberta public agency that supposedly oversees its oil and gas industry, and was not only turned away but vilified for her efforts. The provincial court upheld the agency’s dismissal of Ernst’s complaint. It was an astonishing ruling, but it’s about to get a second look. The Supreme Court of Canada has now agreed to hear Ernst’s appeal of the Alberta ruling. Its verdict, of course, is months away and impossible to predict. But the high court has already overturned a series of attempts by the federal government to illegally circumvent Canadians’ Charter-guaranteed Rights and Freedoms. It now has a chance to re-affirm that provinces also have an obligation to protect their citizens, and cannot simply set that duty aside in order to provide carte blanche to corporations. If Facts and Opinions were published on old-fashioned print, we’d be selling a thick, heavy book on newsstands this week — glossy pages packed with photos and scintillating text plus, given the prohibitive costs of print, scads of advertising to sway your minds and empty your wallets. Instead, F&O is a digital journal, non-partisan, owned by its contributors. And we’re different from most in our reliance only on subscribers – neither we, nor your eyeballs, can be bought; no advertisers are welcome on our pages. And this week we’ve put out a great digital “book” — thought-provoking, informative, packed with terrific photos — including a bit of fun. 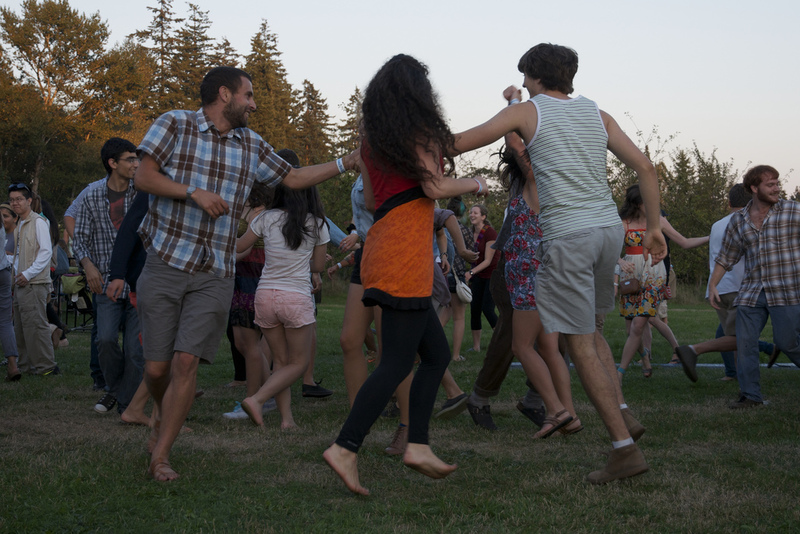 The World Happiness Report describes and prescribes. Check our Contents page regularly for our new works. Look for evidence-based reporting in Reports. Find commentary, analysis, arts and creative non-fiction in OPINION-FEATURES, and image galleries in PHOTO-ESSAYS. Some of our original works are behind a paywall, available with a $1 site day pass, or with a subscription from $2.95/month – $19.95/year. Tell others about us. If you value our journalism, please help sustain us.